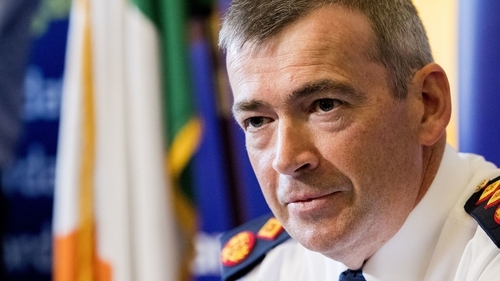 Garda Commissioner Drew Harris has described his appointment as a "manifestation" of the Good Friday agreement, which makes a wider point about cooperation between North and South. Speaking on RTÉ's Sunday with Miriam, Commissioner Harris said such a move for a PSNI officer has been open since 2002. Asked which oath comes first, the PSNI or Garda oath, he said they are "different"; the PSNI oath makes no mention of the UK, whereas the Garda oath is to uphold the Constitution. He also said he cannot "envisage" a situation where he will have information from his time in the PSNI that An Garda Síochána does not know. Asked if he had files of information about the perpetrators of the Dublin and Monaghan bombings, he said "no" and what information there is "would lie with the PSNI and it's for those to deal with appropriately". As a member of the PSNI he says he was duty bound to report wrongdoing it to the Police Ombudsman and "that often happened". Mr Harris also spoke about the murder of his father Alwyn Harris, an RUC officer, by the IRA. His father and mother were targeted on their way to church in October 1989. Commissioner Harris said the grief was overwhelming but "anger was never his first or second emotion", something he "worked hard on".